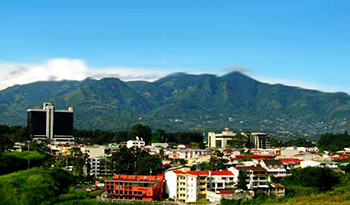 One of the most populated and prized districts of San Jose is Pavas. Located on the west side of the capital of Costa Rica, Pavas, along with Escazu, is known for being one of the top areas for incredible growth in the last five years. Pavas is well-known for its healthy and thriving industrial and commercial areas. Plaza Mayorand Plaza Rohrmoser are the most popular mini-malls in Pavas. Both plazas contain super markets, clothing stores, veterinary services, food courts with all major food chains, and banking services. The property value in this sector of the capital rises significantly every year. The constant development of homes and condos and the commercial growth has increased the interest in the area, particularly during the last decade. From comfortable and secure neighborhoods, to attractive and exclusive commercial areas, Pavas and Rohrmoser have become some of the most desired locations for people with families or to those looking to develop their business.